Hot this week: Antiquities moving from public to private collections. Looking for a volunteer to help with this email list for 2 months, otherwise it has to go on hiatus. Is that you? Before Sotheby’s sold the fake, Christie’s turned it down. The missing signs marked some of the 36 archaeological maritime sites across the Caymans. Although the city voted to remove the statue of Nathan Bedford Forrest, the Tennessee Historical Commission has rejected that decision. The Senator introduced the “Terrorism Art and Antiquity Revenue Prevention Act of 2016 (TAAR Act)” which apparently is targetted at ISIS. 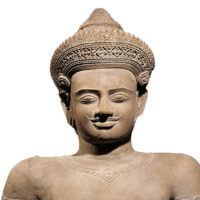 This article contains churnalistic false numbers related to the antiquities trade. Disenfranchising Indigenous people in the name of preservation. A very depressing and important article. The painting has been in the museum since 2005 and police say the suspect has been identified. The caretaker pleaded guilty to stealing and selling art pieces. Seven large pieces were taken from the Teaton Mountain Lodge and Spa. Mary Boone says that Baldwin failed to pay sales tax on a painting he bought from her. They’re on display on purpose as a teaching tool. “Most of the items for sale have been with the museum since the early 20th century,” and now they are moving from public to private. The items sold for a total of over $950,000. It is unclear exactly what type of sanctions that ICOM could implement as being removed from the membership roll seems unlikely. A piece of the “Mala Onofrijeva” fountain broke off as tourists leaned on it. Reflecting on when the artist stole a painting from the New National Gallery in Berlin. Athens’ National Archaeology Museum is holding an exhibition that shows how their workers sought to protect antiquities from looting by occupying fortresses. One of the first tests of the be Blue Helmets in a heritage disaster situation has been extremely close to home. The piece was spotted for sale online and has now been returned to a library in Piacenza. So where’s the mafia Rembrandt? Urs Schwarzenbach brought over 200 artworks from the UK to Switzerland either without declaring them or undervaluing them. The pieces, which after being seized were bought by Erich Maria Remarque and eventually donated to the University of Zurich, were returned to the heirs of Rudolf Mosse and sold at auction. The rare books dealer was targetted because of a Wind in the Willows first edition that he had listed for sale online. The book was stolen and the dealer was murdered. Not the expected art thief. The pieces were stolen from the Bacup Natural History Society and Museum. The trustees were notified of this damage, which occurred in December 2015, but the public was not told. The painting of Greta Moll is being claimed by three of her grandchildren. Questioning the origins of the Museum’s Maya items. The statue of Dhurm Raja, the monk who is said to have founded Bhutan, was taken by a British army officer in 1864 and gifted to the Asiatic Society, Kolkata. Locals may not know that objects in temples, even damaged ones, are protected objects and can’t be tossed without permission. Seven idols were taken from Digamber Jain temple at Savina. Idols and donation boxes were stolen from three temples in Savina in one night. A close call, the theft may have been aborted as the idols are all safe. This is the fourth theft from the historic Kalibadhi Temple. The piece was taken from the temple in the heart of Bhopal by two masked thieves. A carpenter from Puducherry was arrested as an accomplice to Deenadaylan. Eleven ancient idols were seized in the raid on this associate of Dheenadayalan. The grandson of Deenadayalan, a dentist, has been arrested and nine idols and paintings have been seized in Chennai. There are about 100 art galleries in Puducherry, should they be monitored for illici antiquities laundering? The man arrested was staying in a house belonging to an Indian born French national; unclear if that is significant. Sharbat Gula was arrested over her allegedly forged Pakistani papers. Some with more dodgy import stories than others. The resin, which is harvested to make artisanal tools, was lifted from a Quebec residence. We can all rest easy now, and celebrate the fair go the local artist had at Jesus head replacement. Kingston police are hoping to recover some of the rare cards that were stolen from the Original Hockey Hall of Fame. The hockey-focused museum is upping its security. When eBay banned the human skull trade, sellers shifted to more permissive platforms.